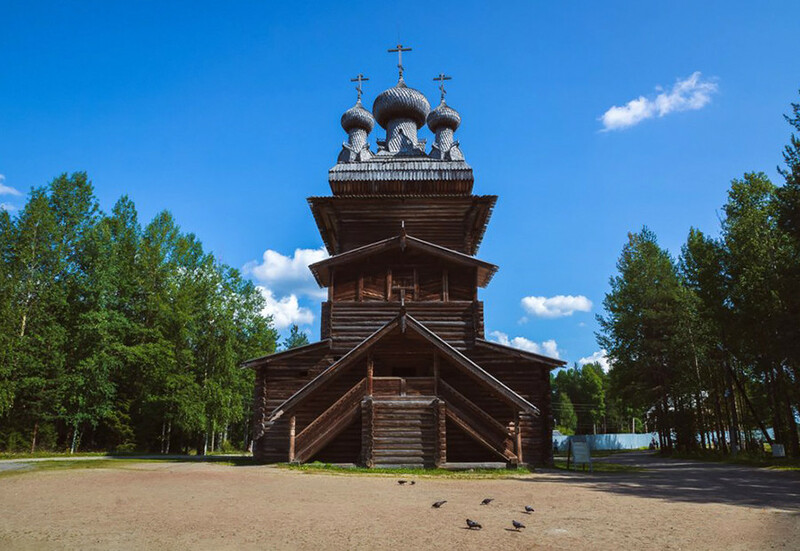 Russia has preserved much of its wooden architecture in the north, but some of these gravity-defying structures are in danger of crumbling into thin air. 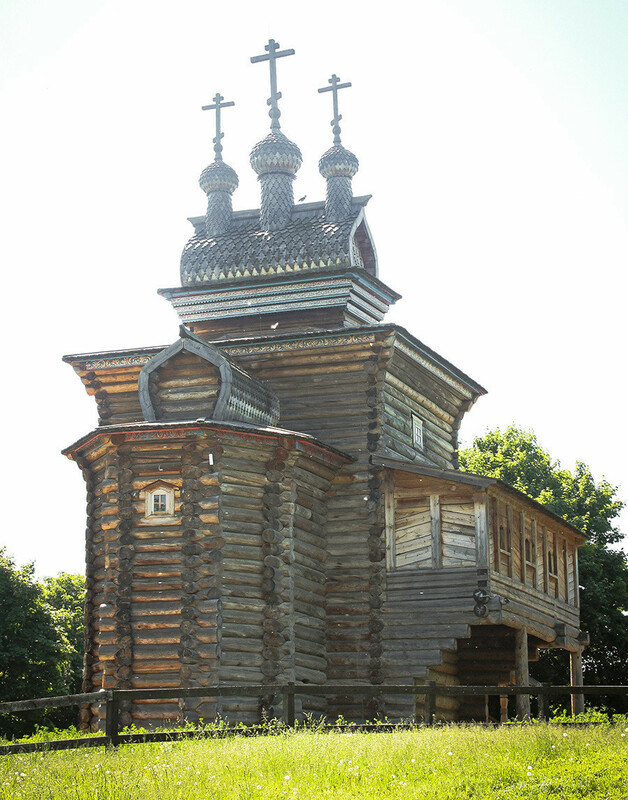 Centuries ago almost all buildings in Russia were made of wood - many of these structures were like great works of art. Those that have survived are brilliantly ornate and often made with nothing more than wood, axes, and elbow grease. It’s hard to believe that many are still standing without a single nail. However, a lot of these historical buildings are in a desperate state of repair and need urgent attention - otherwise, it might be curtains. This open-air museum showcasing traditional northern architecture is located near the village of the same name. 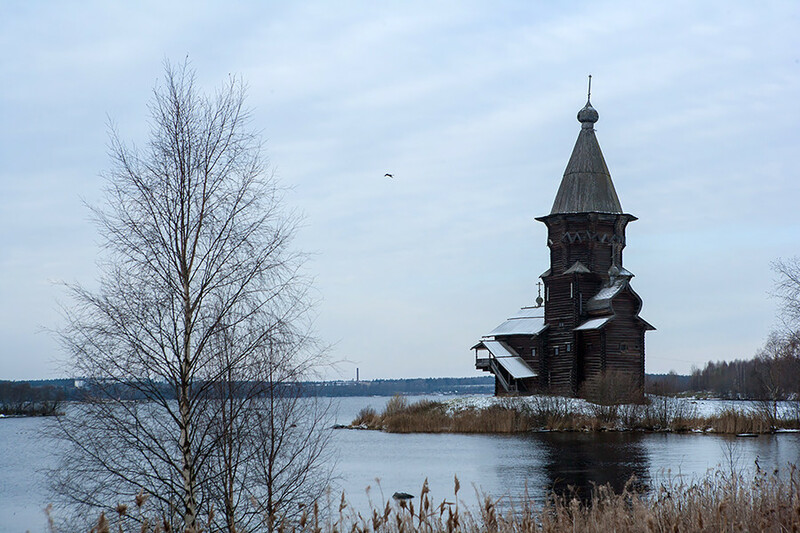 Here you’ll find a restored 16th -century bell tower, Ascension, two St. George Churches from the 17th century, as well as residential buildings of those who once lived on the banks of the Northern Dvina. Several centuries ago, there were several villages on the island. Formally, these villages remain but they all now make up part of the museum. 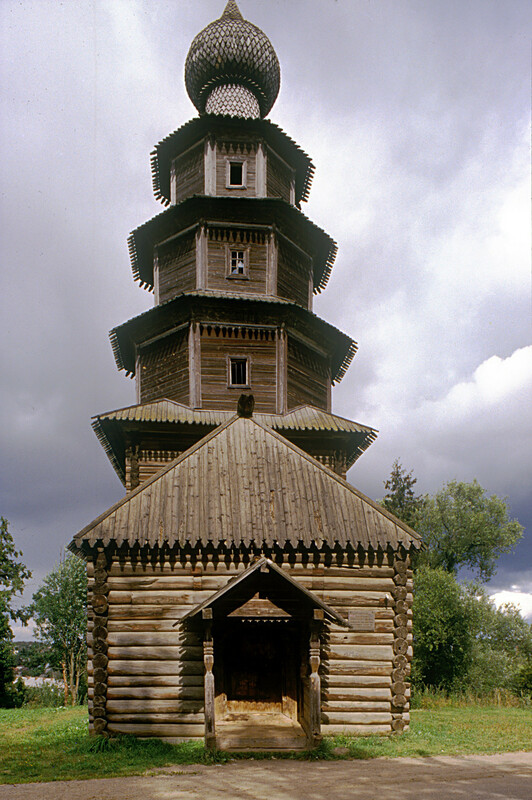 Here you can see one of the tallest wooden buildings in the world – the 18th-century Church of the Transfiguration standing at 37 meters, made without a single nail. 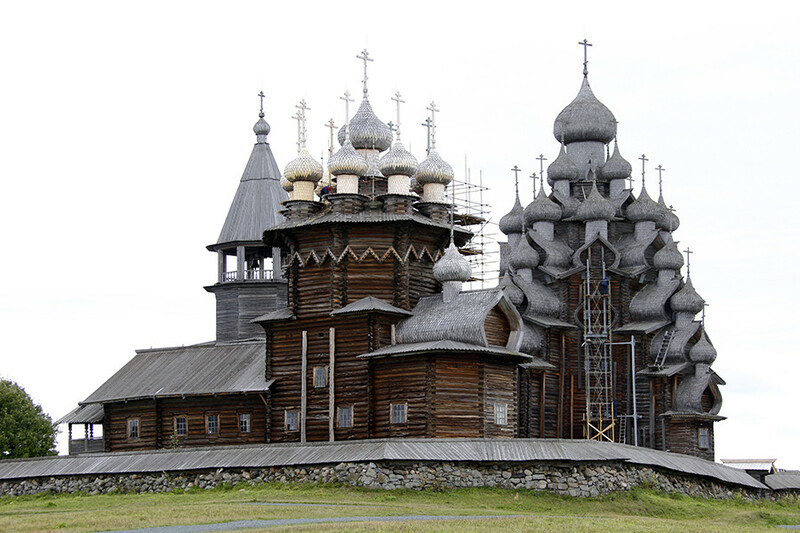 The architectural ensemble of the Kizhi Pogost is also included in the UNESCO World Heritage List. In this park, you can not only ride a bike and walk along Moscow River’s embankment but also go inside a wooden temple from the 17th century. St. George's Church was transported here from the Arkhangelsk region and boasts impressive interior and exterior decoration. Inside are ancient frescoes, which are still being restored. 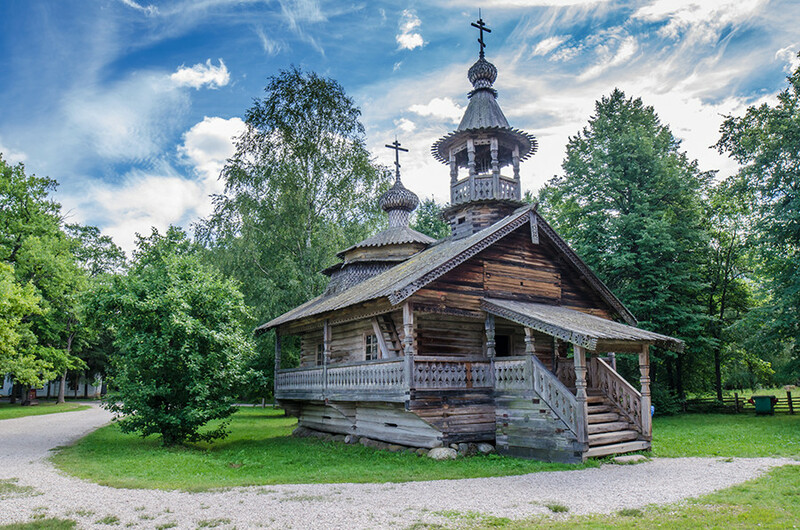 Built in the late 18th century, the Dormition Church is one of the few active wooden churches of this age, although services here are only held on holidays. There are Baroque-style iconostasis and old paintings. The design of the ceiling and small windows inside the temple served to keep the heat inside the building. That’s why, despite the impressive size of the church, it is actually pretty small inside. Unfortunately, the church burned on Aug. 10. 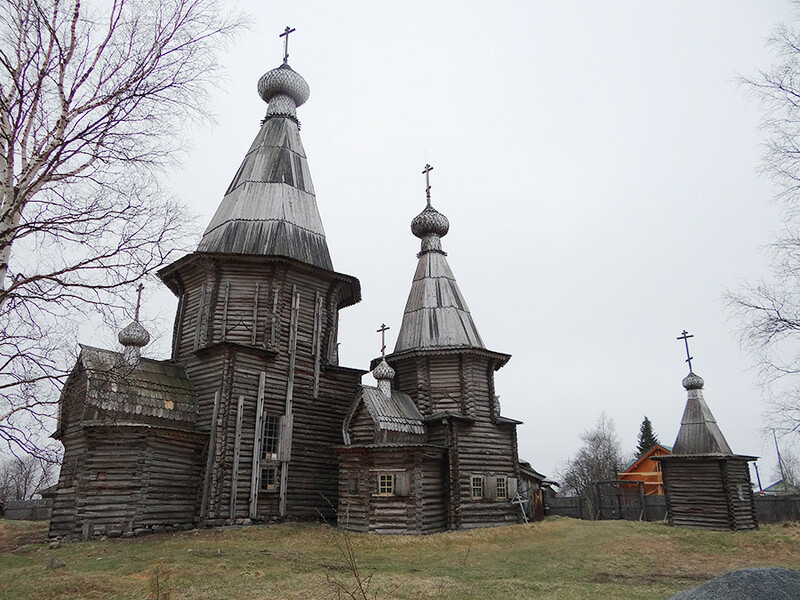 The 17th-century Assumption Church is located in a village on the Kola Peninsula, which was home to explorers of the White Sea coast. The ancient icons are preserved in the iconostasis, but the bells are lost: Just before the Great Patriotic War, they were removed, left on the bank of the Varzuga River, and carried off by the tide. The magnificent Assumption Сathedral was founded in the early 18th century in honor of the Russian victory over the Swedes in the Northern War. The temple is considered an encyclopedia of wooden architecture: It was built according to all the canons. Nevertheless, only a few old icons have been preserved. The cathedral is now under reconstruction. The high Hodegetria Church of 1700 is the last example of the local Mezen architecture school. The church was restored in 2016 and the old logs were replaced. If you walk through the old village of Kimzha, you will see many other religious artifacts, such as vow crosses. Many houses in the village are more than a century old, so it still looks like an ancient northern settlement. 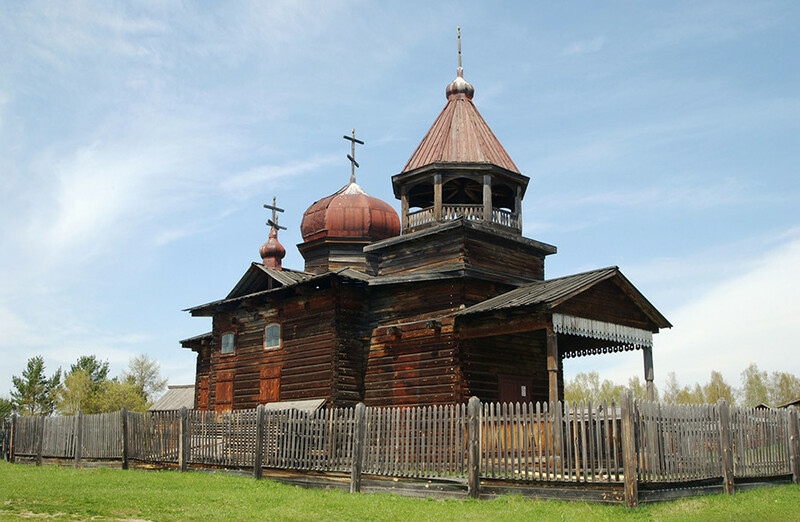 The wooden Church of the Tikhvin Icon of the mid-17th century is the only wooden temple here. The church has been repeatedly rebuilt and even moved to another place. However, the remains of early 18th century paintings are still inside. The iconostasis and ancient icons have sadly been lost. 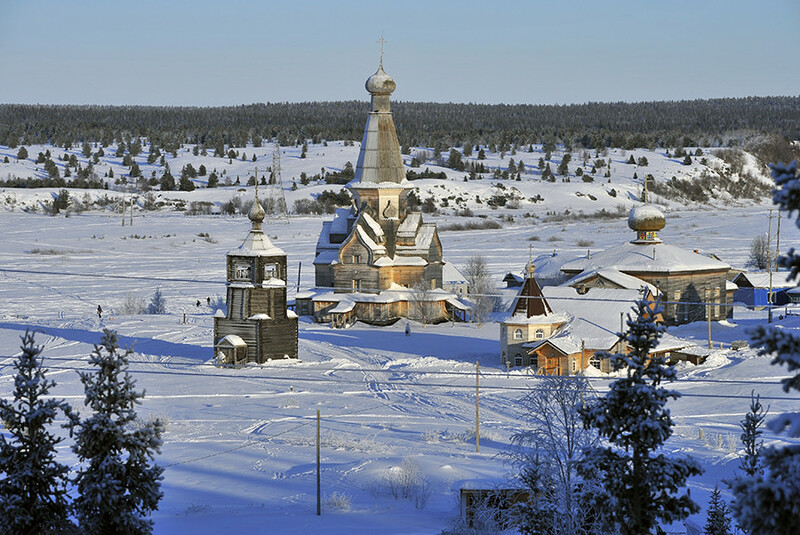 Taltsy’s museum of wooden architecture has an impressive collection of Siberian buildings once belonging to Russians, Buryats, Evenki, and Tofs. Here you can see the small ancient Church of the Kazan Icon, as well as the Spasskaya Gate Tower (17th century). All the old wooden buildings were brought here from the settlements flooded during the construction of the Irkutsk hydroelectric power station. A great collection of wooden architecture is on show on the site of Vitoslavitsy village, which was here in the 13th century. 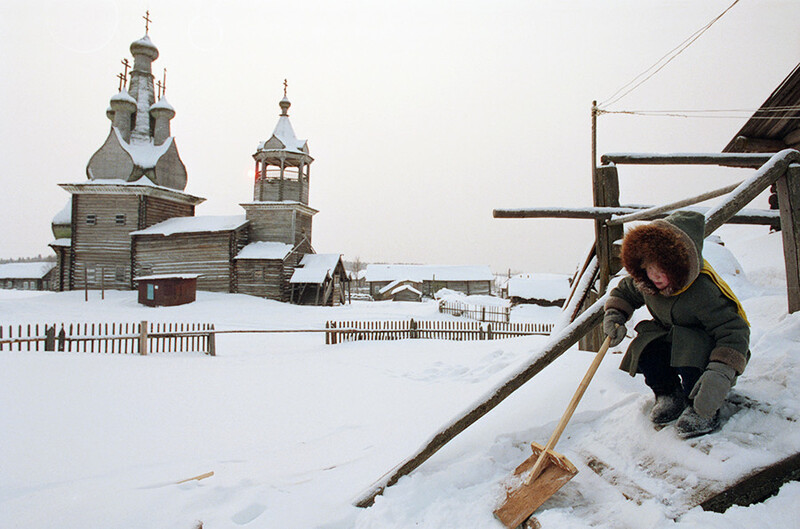 You can see Russia’s oldest religious buildings: The Church of the Nativity from the early 16th century, Assumption Church (17th century), and Church of Nikola of the mid-18th century. All of them were brought from deserted faraway villages and restored. 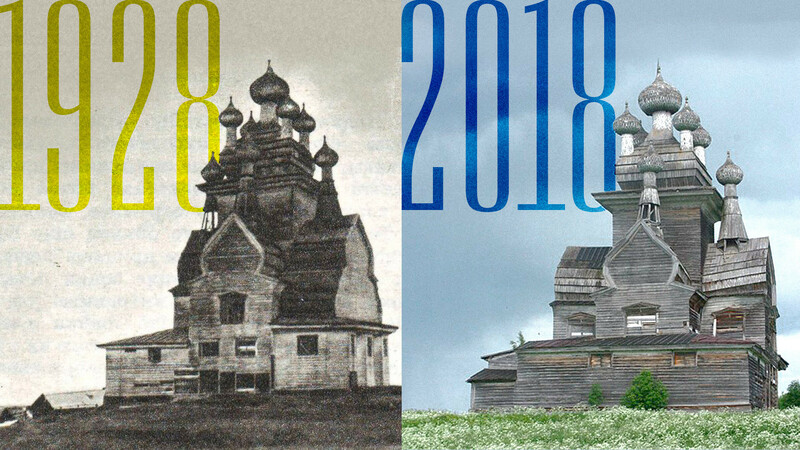 The wooden tower church of Torzhok: Will it be saved?